In 1980 a game called “Rogue” debuted a genre of gaming involving dungeons and permadeath. A prime recent example is a game called WazHack. I’ve written about roguelikes in the past, and if you’re interested there are a great number available for free online. When it comes to playing these games on your iOS or Android device however, WazHack is a great way for both newcomers and seasoned veterans to put their RPG skills to the test. You can also play WazHack in your browser, but it’s the free iOS version I’ll be taking a look at in this review. Those of you who have played roguelikes in the past will know that they generally involve a top-down perspective, with many substituting graphics for an ASCII-based approach. This isn’t exactly the most attractive setup in the world, and often leaves newcomers a little overwhelmed. WazHack doesn’t conform to this formula, and instead it uses a fully 3D Unity-powered engine. It also takes on a side-scrolling viewpoint, like an RPG version of Streets of Rage. Of course, this is nothing like Streets of Rage – it’s a true RPG, and being a Roguelike you only get one life. 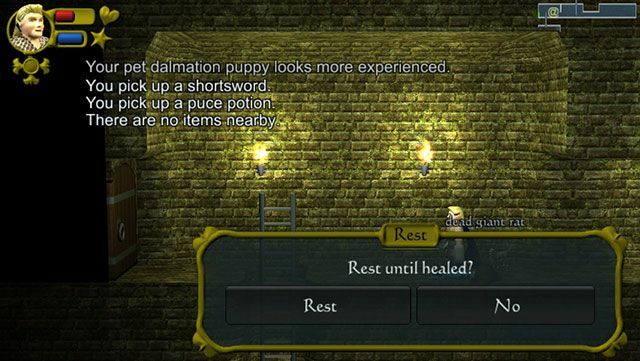 This is a dungeon crawler in its truest sense. As you are informed at the start of the game, you’re entering the “legendary dungeons of WazHack” in search of the “Amulet of Zaw” – you know, the usual fantasy stuff. 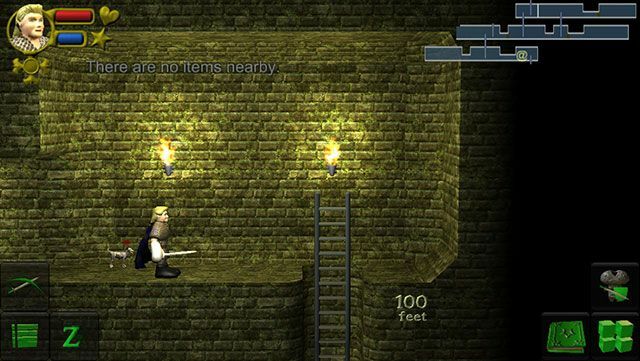 It’s within your interests to descend the many ladders the dungeon presents you with, explore rooms, collect loot and items to help you on your path and dispose of any enemies along the way. Once you’ve found this legendary amulet, you then have to retrace your steps and make it out alive. 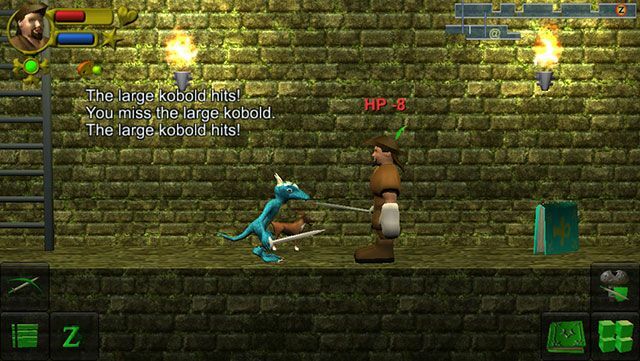 This is a lot easier said than done, so it’s a good job you get a companion in the form of an animal to help you take out kobolds and sewer rats along the way. Both you and your companion will level up by earning XP (big surprise there), and each character and companion has unique attributes. 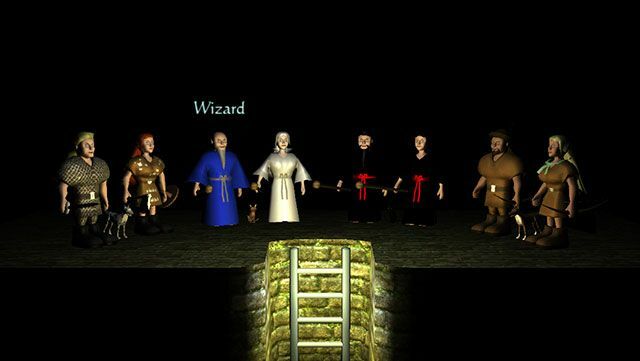 At the start of the game you are invited to choose a character, with the usual array of knights and mages on offer. Each character has a different companion, and different skills in the form of statistics. Knights are resilient in battle but hopeless with a spellbook, which makes them a great choice for a beginner. Like many niche genres and dedicated communities, it can be difficult getting into roguelikes if you’ve never played them before. Thankfully, WazHack includes a rather excellent tutorial to get you up to speed with the game, and its many intricacies. It will walk you through the basics of movement and equipping items, to the risky art of identifying items in your possession. That’s another spanner in the works – when you pick up a potion, and even a weapon, you have no idea what it does or whether it’s cursed. This can lead to massive relief, and sometimes instant death. Better yet, certain potions will make you hallucinate. This is where the 3D engine really comes into its own, skewing perspective and replacing normal characters with shapes in order to confuse you. It works well, but that doesn’t make it any less frustrating. Food is another precious commodity, and one that you’ll have to pick up along the way. You will need to keep hunger at bay, as well as managing your health as well. The best way to do this is to wait until you are healed, using the Z button, but waiting around too long will cause you to be hungry again. When this happens, you’ll be forced to eat something before you can continue healing. You can only save one game at a time in WazHack, and even then saving is only possible when you quit. This is in-keeping with the true nature of the roguelike genre. If all of these rules and restrictions annoy you, then you should probably take the game a little less seriously. Much of my experience with WazHack has involved random luck rather than skill. 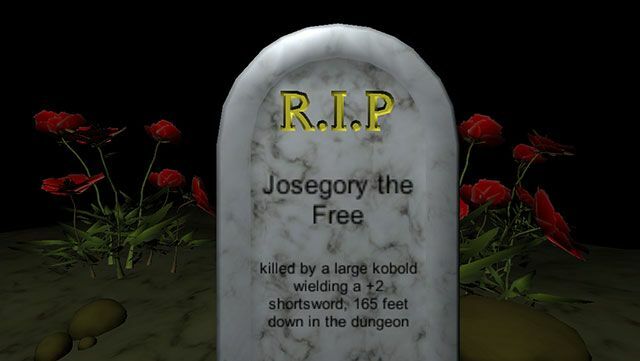 I’ll be the first to admit I’m not a seasoned dungeon crawler, but I’ve had games where I’ve played for nearly a whole hour before croaking it, and others where it takes me only 5 minutes to kick the bucket. It’s part of the appeal. 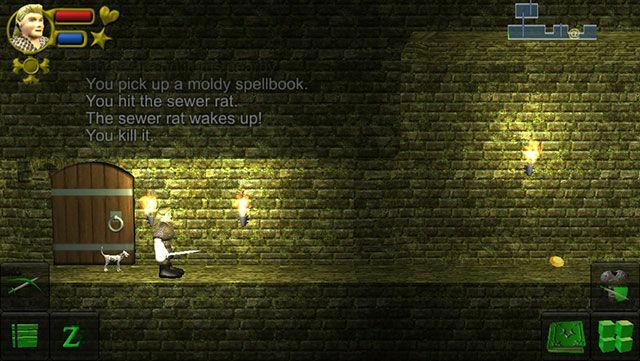 WazHack is very much a modern roguelike. The 3D-engine and crisp visuals many players expect from modern games sit proudly atop a tightly-regulated roguelike experience. There’s a lot of depth here, and many ways to complete the game if you’re good (and patient) enough. There’s even a multiplayer mode, but this requires a character class upgrade via an in-app purchase. I’ve not had the need to upgrade yet as there’s plenty of enjoyment to be derived from the vanilla game. If you’re a fan of RPGs, roguelikes or fancy exploring a new genre of game you’ve not considered before then WazHack is the perfect way to do it. Best of all, it’s free to play on your iPhone, iPad or Android device as well as in your browser too. Are you a fan of roguelikes? Let us know what you think of WazHack!